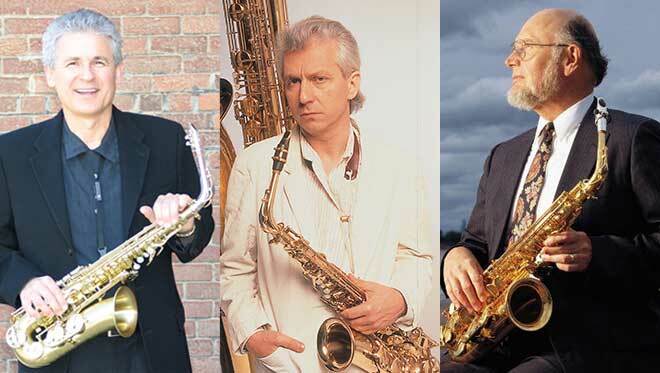 The Milwaukee Saxophone Festival will encompass two full days of lectures, performances, informational sessions and master classes with two of the world’s most celebrated saxophonists and teachers: Daniel Kientzy, and Dr. Frederick Hemke, Professor Emeritus from Northwestern University. 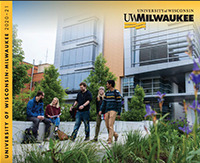 Professor Hemke is also a UWM alum and recipient of the Lifetime Achievement Award from UWM. Also featured will be a recital by Bill Street of the University of Alberta, Canada, performing new music for saxophone and piano. There will be performances by the Kaleidoscope Quartet (local), and UW college and university faculty and students. The 2nd day will conclude with a masterclass and recital by the award-winning Fuego Quartet. There will additionally be an opportunity for any and all participants to perform in a saxophone choir reading session on the final day. The festival is being hosted by Nicki Roman, Visiting Professor of Saxophone at UW-Milwaukee, and Larry M. Sheets, a local saxophonist and teacher. Dr. Roman is a recent graduate of Eastman School of Music, where she received her DMA degree in saxophone performance. The festival is intended to address all levels of interest and performing abilities, from high school through high level professionals and teachers. (A $2 box office handling fee is included in the price. Website purchases have an additional $4 fee. Day-of registration please add an additional $10 per registrant).